An employee of the month (EOTM) program can push and motivate a team to perform better, but only when it’s done correctly. There must be a set of criteria for any employee recognition program. One that doesn’t have set standards can result in frustrated employees rather than motivated ones. Employee of the month programs are meant to highlight behaviors and performance that reflect the company culture and help achieve its goals. It can also serve as an acknowledgement of a project completion. Furthermore, employee of the month programs should have goals and encourage employees to meet them. Those goals could be to increase sales revenues or workplace productivity. In any case, there are certain do’s and don’ts that employers should keep in mind when implementing this program. Human negativity bias makes it more likely that employees focus on missteps and errors instead of positive, valuable work. Employees are unlikely to feel driven to success when accomplishments are glossed over as routine and accidents deemed unforgivable. Why exceed expectations if your hard work goes unnoticed, but a one-time mistake becomes a legacy? Employee loyalty to the company. Greater staff commitment to company success. 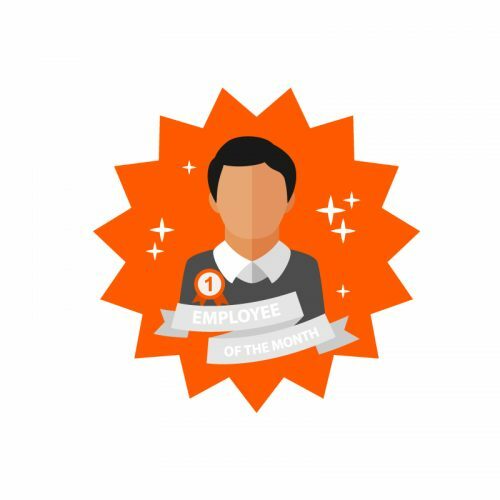 EOTM programs are important in many workplace cultures because it’s often the only recognition an office offers to its outstanding team members. Many employees who receive it keep any awarded cards and/or plaques, and are likely to remember the recognition long after receiving it. Feelings of unfairness due to inconsistent criteria. A shift of focus to praise instead of engagement. Too much formality to be personally significant. The reason EOTM programs can be highly effective is because they make employees feel recognized and appreciated. When an EOTM honor loses its meaning or is too impersonal to be motivating, the system becomes a negative part of the employee experience. Instead of resulting in loyalty and encouragement, it leads to dissatisfaction and frustration. Additionally, the infrequency of EOTM programs can breed resentment. They only allow for 12 awardees per year, which means that some deserving team members may not receive proper recognition earned by their hard work. Reasons for this can include logistical issues such as one department’s size over the other, leading to more votes for an employee over others. As such, employers should consider all the ways that a EOTM may fail and decide on a method that will award staff fairly. Defining the goal. EOTM programs must have both strategy and intention to be effective. A company that plans to start any sort of recognition should ask, “What behaviors do we want to reward?” They should also ask what objectives an EOTM can drive, and how the program will operate. Picking a frequency. While many recognition programs are monthly, a company can choose to give honors ever quarter or even year. Employers can also choose to recognize employees whenever workers exceed expectations, instead of waiting for a particular timeline. They may mean more when they are not awarded routinely. Laying out the parameters. The criteria for EOTM should be straightforward and communicated clearly to all employees. Companies can choose a peer voting system to honor employees or manager nominations. Deciding on the rewards. Before you institute an EOTM program, decide on a reward that will be the same each month. Uneven awards are a quick way to breed resentment, even among employees who have won it before. Continuing to innovate. If an employer allows their EOTM program to become a routine, employee interest and engagement will wane. Consequently, the benefits of the program to an employer also stagnate. Verbal recognition. Person-to-person acknowledgment may be simple, but it is also sincere. The organic nature of giving praise when earned is more sustainable and, at times, more personal than EOTM ceremonies. Cards. Like verbal recognition, a thank-you card can go a long way. It can be a simple earnest note, or combined with a gift card. However, it should always effectively describe why the employee is being rewarded and how they assisted the company in meeting its goals. Additional PTO. Companies can reward deserving employees with extra vacation and/or volunteer time. It’s a great reward that allows employees to rest after working very hard. Gift cards and bonuses. Movie tickets, gift cards, cash bonuses and other small rewards can be given to make employees feel valued. They do not need to be elaborate or expensive. As with most gifts, it’s the thought that counts. Staff celebration. A team lunch or an after-work gathering is an easy way for departments to support one another. They are also an opportunity for personal EOTM honors within large organizations. Encourage peer recognition. Studies show that day-to-day recognition from peers can have more meaning than a once-a-month formal program. It has the benefit of making employees feel more invested in one another. Employers and managers should experiment with ways to engage and value their team. However a business chooses to reward its team, company leaders should remember that the goal is always to make employees feel appreciated.